"It should be called OpsNet - it's how we run our business"
The process builder is the best part. It allowed me to take everything I know about selling our services and build it in a logic manner. This makes it very easy for my team to be efficient and effective. Also, the API's have helped us move away from so much data entry. The campaign manager really needs an upgrade, as does the message center. They are both "fine" now, but not nearly as good as the other areas. If you are a process driven company (or want to be) there is no better product for you. We've been using Salesnet for over 10 years. It's helped us grow our business, and it's grown with us. "Great sales people, great customer service and fantastic software!" As a company we like how straight to the point the Salesnet tool is. It doesn't have all the unnecessary "bells and whistles", the Salesnet tool serves its purpose and makes your job easier. Very user friendly and can be easily picked up by any age range quickly. so far we have not run into any dislikes. every question we have had gets answered in a timely manner. A representative calls or emails us at least once a month just to make sure we are doing OK and if we have any questions. If your company is looking for a user friendly tool and at a very affordable price Salesnet is the software for you! The Salesnet tool has given us the ability to record any leads/prospect that we may encounter, as well as any notes that we might have for a reference for other salesmen. Also, the tool has helped us our email campaigns. It is very easy to setup times for emails to go out and the specific participants you want to receive it. "Very versatile software at an affordable price per user"
Salesnet is incredibly versatile allowing for any type of report or dashboard to be created. Also our firm is able to customize the sales process within the software rather than using rigid templates that force us into a generic sales cycle. I use apple products so there isn't a great interface with outlook for mac. Also there are no mobile applications available. Many important fields are limited to 255 characters. There is a learning curve, but once you've overcome its great. For the price and considering what you get, its a no brainer to use. While most gravitate to the big players out there, this software is just as good. Not only are we tracking our leads, but we've custom built the application to allow us to conduct contract management and invoice tracking. Due to how easy it is to customize, with a little work, administrators can build the application perfectly to suit the needs of the organization. The level of customer service is phenomenal. Do it! From the start these people were honest and up front. The training was comprehensive and tailored to my needs. The support during implementation was absolutely amazing. Fast and accurate. The level of customer service was and continues to be above and beyond excellent. Tracking of leads and sales. We switched from SalesForce (wow, expensive) to a horrid horrid service called SalesBoom (they should be boomed... right off the planet) and I was working six months with NO crm. Balls were dropped all over the place. I was floundering, drowning in trying to keep on top of everything. Salesnet has streamlined my processes again and put me in a place of confidence that I'm on track, allowing me to follow up in a timely manner. "Easiest CRM I have found"
Sales people are not typically excited about recording their activity, and Salesnet makes it quick and easy. There are so many products to choose from today, but my number one criteria was the ease of use, particularly considering the push back from typical sales people. Also, the ease of setup and customization for our specific sales processes is key. It was relatively easy for me to customize without having to call for support. For our high volume sales individuals, keeping track of so many sales opportunities has become simple. For our Sales Managers, sales reporting and accountability is easy. The time saved for both sales staff and sales managers in tracking daily activity and opportunities far exceeds the time spent with our old reporting methods. "SalesNet allows me to quickly review past present and future account opportunities!" SalesNet has an excellent structure that gives a person with minimal time, and limited regular use of the software quick access to information and reports. I regret that the account structure does not seem to allow for the parent - JV- or other type structure - but is basic with each site potentially being its own account. Many sites change hands multiple times in the chemical & O&G business, so there is a need to allow changes since from a sales perspective the activity is the site/local level, but the sales strategy may be much higher and can cross the corporation, (parent company) into JVs. Handling this well and in a way that allows for change and also for quick reporting would be very helpful in strategic sales planning. The structure of SalesNet and organization of data is superior to some of the other CRM tools I have used. Reporting into excel also seems much better than what I have experienced with other tools in the past. Identifying new opportunities based on previous history and uncovering potential project references from the same parent company to help build credibility at new accounts. Account transitions from fellow sales representatives is much easier with the information tracked in SalesNet. "Salesnet, great product for a fraction of the price from other CRM systems. " Salesnet has assisted our company to be more streamlined in our customer service department. I can review where my sales staff are at with our customers/prospects and how they are doing with goals that I have set. Enables easy access to customer information should the sales representative be absent and the customer needs assistance. The graphs provide easy, quick reviews on how the sales team accomplish goals. User friendly and easy access. The price is also a bonus as more affordable than other CRM systems that I investigated. I would like to see in the future a mobile app so smartphones and tablets could access information more easily. More guidance on developing reports. When adding any "add-in" have specific directions...to many options caused one of our users to have information in the data base become scrambled. I believe that our sales team is staying connected with our customers and prospects with the usage of Salesnet. Salesnet is user friendly which makes training easy. I can run a report to see how we are gaining more business or losing business with the reporting system. "The best true cloud based CRM software product available for the price." User friendly with great customer support. Best import program there is in the CRM world. Easiest to use, create new reports and most complete report program I can find. The 'right click' feature gives you the simplicity of no more than two clicks to complete any and all activities but you still have the full many faceted power and permanent history available at all times. The biggest thing is that it is now well known at this time. Hopefully this will change soon. Run as fast as you can and make the switch to Salesnet. You will be very happy that you did. You will not only save money initially, but also as your business grows and you data gets larger. It is fully integrated with MS Office Word, Excel and Outlook. They are releasing new features and upgrades all the time. It never allows you to forget that you have work to do on a given day so that nothing you need to do 'falls through the proverbial cracks'. Our business consistently increases every year because we are always 'on time' with all that we must follow up on with potential new customers and current customers. "Salesnet user whose company has grown and become successful by using Salesnet." I am impressed with Salesnet's robust API and it Patented Opportunity System that is state of the art one of a kind. I am also extremely impressed with their powerful support program that makes their support the easiest and best of all the software products our company uses. That is does not have its own accounting piece as part of its capability. We do have a very good live bi-directional link with QuickBooks but no link is as good as a single database flow with no links. I highly recommend Salesnet as the best, most powerful CRM at the least cost that is available in the market place today. Every time I have recommended it and they took my advice to give Salesnet a chance to compete for their business, Salesnet always won after full consideration against all its competitors. One of the most important to me is that Salesnet has solved the problem of our accounting department no longer forgetting to invoice a customer as the proscribed time as all of our software products are cloud based with subscription agreements where some are annual, some bi-annual, some quarterly and some monthly. We have been able to increase our sales significantly year after year because of what Salesnet terms our 'best business practices' that they captured and placed in their unique, one of a kind patented Opportunity section. This has also dramatically shortened the time of training new sales people. We have seen a major increase in up-selling and cross-selling existing customers and do so by having the capability within Salesnet to rate them using an ABC code system to determine how often to contact them. Again, the unique, one of a kind patented Opportunity system is the key to that capability. ""I'M A FIRST TIME USER AND VETERAN SALESMAN""
The simple fact that as a seasoned road warrior, I no longer need to lug 50 lbs. of project folders and quotes with me when I travel. The fact that I have everything I need at my finger tips, and can instantly judge and assess my activity level. There are a lot of buttons and drop-down boxes to get used to. But, like anything of quality, it takes some getting used to. Do it, and take advantage of this priceless tool. I have reviewed many systems, and this is by far the best. Lugging tons of paperwork with me whenever I travel and also committing everything to memory. I can access my sales leads at any time, manage my projects in development, and never miss a follow-up date. "Awsome For our Business Management"
Keeping track of appointments and Poliy renewal date have been so easy as well as how easy it is to upload policies into our data base. We all live on it. Could not survive without.! Keeping track of clients , Polices, Bdays all Data needed to run a Insurance agency. "Great value - Amazing Support"
With Salesnet nothing is impossible, and the customer support team goes above and beyond to help us tailor make our Salesnet CRM. We have looked at many different CRM systems and came across Salesnet by chance, and we are so glad we did. We were looking for a system that allows our sales team to spend their time on actual sales rather than having to update an complex CRM system. Our outside sales associates have everything they need in one cohesive system and they love working with it. Salesnet is not the type of company that just "sells" you a system, and then leave you alone. Their after sales supports is amazing, they are always there for you, and they always have time. Nothing. Absolutely nothing. Salesnet fully meets our requirements. Just call them, and check it out. We are so happy that a friend of our company recommended Sales net to us. Salesnet does EVERYTHING for our sales team. It is literally an office in a box, and our sales associates have easy online access to any data they can possibly need while on the road. The system is extremely user friendly, and after an initial introduction, you can start customizing the system yourself, and make it your own. The system provides several different types of pipeline view, making it easy for sales management to keep track on past, present and future opportunities. "Great CRM!!! Great Customer Support!" Easy to use, and it can be customized to meet your specific needs. The color coded system used to manage over due opportunities that need to be followed up on is awesome. The number of different views that you can have is great. I love the detailed reports that you can generate using all of you data in Salesnet. The bar graphs and pie charts are very cool features. Managing your users is also very easy to do. We looked into a lot of different CRMs and Salesnet ended up offering our company that most flexibility. Salesnet also just seemed to be the easiest to understand and us. A lot of the other CRMs that we explored seemed fancier but in the end they really didn't offer us as much as Salesnet could offer us. The team at Salesnet allow just seemed like a much better team to work with and fortunately for us we were right!!! We're extremely pleased with Salesnet and we'd highly recommend it to anyone that's looking to improve their CRM. Not much....as far as CRM's it doesn't get much better than Salesnet. It's extremely user friendly and the Tech Support Team is awesome! Salesnet can be easily customized which is very helpful. You need to look at what Salesnet has to offer. We researched a ton of other CRMs and Salesnet was the only one that had what we were looking for. Their customer support has also been amazing! We're managing our sales leads better and supporting our existing clients more easily. Our productivity and overall communication increased significantly after we started using Salesnet. We're able to easily follow up with sales prospects which has helped us close more deals. We're also able to better manage our existing clients. "Actual People to Help You! At no extra cost!" I've been using the service for over a year now and can honestly say this was the best decision we've made! There is no wizard of oz scenario here where you can't talk to the wizard without paying an arm and a leg. You pick up the phone and speak to actual people who know you by name and help you until the issue is resolved. In this day and age this is unique and for a small business with no IT team this is essential to us. We truly view Salesnet and their team of people as an extension of our company. The people that support and on-board you are what makes Salesnet unique. We tested several others and they were all more difficult to use and had less support. I dislike that this is not more well known because going toe to toe with Salesforce this takes the cake all day for a small business owner. GO FOR IT!!! It's unknown among the big players but is exactly what a SMB needs, you won't regret it! Other services offer very limited support and I can tell you from experience they go above and beyond. It's been over a year now and this can't come more highly recommended for small businesses. I have friends in other businesses using Dynamics and Salesforce and every time they need to run a report it costs them an arm and a leg and they need to work with a third party to generate the reports. 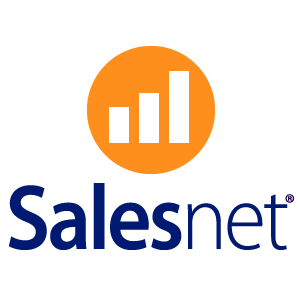 In Salesnet the reports are extremely self explanatory and if you do hit a snag.....wait for it.....you pick up the phone and talk to a person who will help you until the issue is resolved!!!! I know it sounds too good to be true...but it's not. I honestly feel that the value they provide far outweighs the cost for the service which is why I'm so passionate about spreading the word. Anyone interested in speaking with me about it that is considering can connect and message me through LinkedIn. Honestly! "Salesnet has been utilized by our sales/PM team for for 10+ years, and its customized features work!" The ability to customized the process/workflow and report options to fit our business. We work in a business that involves considerable sub-contracting and re-selling to go along with the project management requirement. So, managing contacts/projects on both sides is easy with Salesnet. Further, the ability to mine the Salesnet database for specific information is always a critical capability. Depending on what needs to be created (new process workflow or report), the steps to do so can be "clunky". Additionally, there are some quirky attributes in terms of advanced searching procedures. While the dashboards can be customized, they do not seem intuitive/easy-to-use as they could be. We have some regular process workflows we need to put new project opportunities through- SN helps us manage that workflow on a schedule that works for our clients, and allows a centralized information depot for managing/filling capacity at our affiliate vendor sites. "An easy to use and very reliable sales managment tool." I enjoy the extremely sophisticated tailoring and report writing capabilities. There is really not much that I dislike about SalesNet. However, if pressed, I would improve the text editing functionality in the template creation tool. SalesNet helps me to efficiently track my sales activities, from lead to close. Quick information is always within a few clicks away. This allows me to better manage my client information, and to better serve my client's needs. Additionally, my team has the same information available to them, helping me achieve my goals! "Salesnet has been easy to navigate and easy to modify to suit our company's needs. " There are several things that I like about Salesnet but the best thing I like is their commitment to understanding their customer's needs and identifying areas where improvement is needed. We have used Salesnet for 10+ and although there are several other CRM tools we could be using we choose Salesnet for their quick responses to our needs and helping us identify areas where we could be maximizing the software. They always offer several solutions to our needs, when we might be on a schedule deadline or on a budget. I would say the only thing that I wish I could change is a lot of the things we do in salesnet require customization. Of course when adapting any software to meet specific needs to a company it will require some work. Maybe some workshops that will allow the user to identify some areas where they can do some of the work themselves. If you want a more personable experience with your CRM rep, Salesnet is the way to go. Always quick to set up a meeting and they ask several questions to understand what difficulties you are facing or what you are trying to accomplish. Business processes have been streamlined and has minimized the amount of time keeping track of other spreadsheets and reports. We have also been able to create reports from the information already being kept in salesnet. It also has allowed us so keep track of our contacts and their owners, minimizing duplication of accounts. We are currently working on creating templates for proposals and output reports based on information already entered in our opportunities. Our account rep, Wes, at The Power of One, has gone above and beyond since day 1. Salesnet was recommended to us by another court reporting firm when we were researching the many available options for CRM software, and it definitely worked out in the end. There was a lot of customization involved so it was not an overnight transition by any means, but Wes was extremely helpful and patient in molding the software to best fit our needs. He continues to provide that same support to this day, whenever we need it. We would like the software to be a bit more company focused instead of individual contact focused. In our industry, our objective is to retain Law Firms as clients, and therefore the contact may change periodically. Managing our existing client base as well as selling to new prospects. Salesnet allows us to track and also analyze all of our account managers sales efforts in one organized place. We can now work with new leads way more efficiently than we ever could have in the past. Salesnet has definitely played a part in progressing our company to the next level. "Customer Management at it's Finest! Thank you Salesnet"
Salesnet is so easy to use and customize your your own procedures and processes that you can have a CRM in nothing flat that can keep you on track to managing your business. Currently the only thing that needs some work is their email template/communication function. But I believe in the next release there will be some much needed and wanted improvements. Reach out to their staff. They are helpful, welcoming and very informed. They can help you to make the right decisions for your organization. My ability to not get behind with my customers needs are the best benefit of all. The way the deal tracking system works it keeps my clients that in need in front of me and my prospects where they need to be. It allows me to market to all the right places just from the data that we collect through our processes. It keeps all our clients data clean and easy to find. We can put very information in our layout tab without having to search through files to find it. I rely on this feature on the daily. I wish that in the opportunities you could have your own "Next Step" function. Example if my colleague and I both had a next step on the same account it would only allow one of us to use the next step feature. I think it would be more useful if I could have my own next step feature and one for my colleague so we can both make sure we get our own follow ups done in time. Problems solved: Relationship building with architects and construction managers. Benefits: More approvals for our company, in turn produces more projects. The customization and versatility of the application. From field name, to data type; layouts to processes. The versatility is unmatched to anything else we have compared or used previously. The application is truly 100% scalable to any vertical with our Civil Law Enforcement being one of the most critical. Time sensitivity and accuracy have no margin in our line of work and we could not meet these demands without Salesnet. Would like to have the ability to link and interchange data between instances. We work with others using Salesnet and though we can expedite with export/import processing would like to have a more systematic means to grant access between tow organizations in a Read Only format. If you are seeking an application that can scale to your needs, limited only by your creativity; coupled by an employee base that is second to none, you owe it to yourself to experience Salesnet. From the Sales staff to the Support staff every person we have interacted with has been nothing short of amazing. Customer centric as a methodology rather than a cheap slogan. Uniformity and excelled on-boarding. Salesnet permits every user to truly become the top 20%. From the newest of hires to the most seasoned professional every user has the most accurate details and information at their fingertips. Users have been able to adopt the application so quickly that our new hires can complete the on-boarding process and move right into field operations. The application is so "dummy proof" with minimal personal implementation.
" Flexibility to create a system and process that fits our unique needs"
With our industry there are very specific needs that many other companies may never have to deal with. When working with Salesnet to create our system their ability to problem solve and think outside the box allowed us to do everything we ever wanted and then some. Salesnets flexibility allows us to stay ahead of the industry and exceed our customers expectations. One of the biggest dilemmas in the Civil Law Enforcement industry is juggling case load with dates that service needs to be completed by. Paperwork expires, Defendants need proper notifications to make service valid, steps need to move forward in a timely manner or else money is lost. Salesnet allows us to keep track of hundreds of cases from a single easily managed interface so no case falls through the cracks. It allows us to always be in contact with our clients to ensure timely, proper service with the same quality every time. "SalesNet is very easy to use and organizes everything effortlessly!" I love the way there are levels that leads can be passed through. I hate that setup is so complicated and so expensive if you have them do it. I opted to set it up myself when we first got it. At that time, they offered no guidance. We have had it for years now, and they at least have some training videos. Be very sure that you have someone with the knowledge to set it up accurately or are willing to pay for it to be set up. Cold calling can be a nightmare. Keeping track of who you have called and where you left off when them is worse. This is all compounded when you try to also schedule future call backs. Being able to have it all organized, is so helpful. The interface is very intuitive and consistent. It's easy to maneuver around. I like the reporting tools too. I can always extract everything I need from the database. I wish I could put the reports I develop on the dashboard. The dashboard reporting tool is restricted to some templates that aren't very useful to us. Take time and work with the Salesnet consultants to carefully define your processes and data requirements. The time /money you spend on the front end will save you immeasurably over years of use. Of course, this goes for any SFA. The Salesnet team, however, are particularly adept and quickly matching the product configuration to your requirements. We are a small but fast growing software company and needed a way to tack leads through to closing and keep all our account/contact data in one place. It has helped us to grow 3X over the past four years. "Getting better with time and training..."
The best feature in my opinion is the personalized dashboard. The site as a whole feels a bit antiquated in its usability. It's not very intuitive and it can be very repetitive and difficult to learn. It has been nice to track sales, it seems as though our management team is pulling useful information from the tool. However, it's only as good as the information that is provided from the sales force. It has been hard to get everyone on board with using it regularly because it can be time consuming. "User friendly interface that easily fits our current business model." It's hard to say which is the best feature of Salesnet but the easy customization of the platform and the wonderful customer service are high on the list. We are simple in the way we track prospects and therefore don't really need the process builder but we need to employ it due something having to do with the design of Salesnet. It's creating more work for us. We are replacing our current CRM program. The ability to email, add notes, interlink Linked In as well as the new mass import/export abilities. this CRM assist me with daily tasks which help since I'm new to sales. The ability to build your dashboards to assist with pipeline movement. Helps with process management. The filtering ability, setting multiple perimeters cutting down on search time. The linked email cuts down on bouncing back and forth between two applications. Some tabs are confusing. I'm very new at the sales process so knowing how to move through the opportunity and other tabs to add leads, contacts, opportunity's frustrates me sometimes. Daily tasks assist any users new or old to sales. the process of taking a lead all the way through the sales process, adding tasks , The calendar keeping you on track as well and showing individual company sales process specifics. The added documents are visible to our sales coordinator so she can update our Executive team which cuts down on time she has to waste tracking each person in our team down for the information. The available tabs that keep help with organization and cuts down on input time. Daily task reminders, Email through Salesnet adds it automatically so you don't have to import later. Keeping Leads straight and optimizing movement through the sales process, The reports are extremely helpful so I can visualize exactly what I need to take care of and what notes need updating. "Easy to Use, Confusing to Learn"
Adding accounts and contacts is easy, as well as opening deals and marketing. I like that the marketing basically schedules itself. It's not really self learning. You definitely have to have some training before even digging in. I've been using it for 2 1/2 years and am still learning new things. Reports are difficult to set up. I wish it was just cut and dry.... these are the accounts I want, this is the info I want, boom. "Salesnet is an extremely user friendly CRM platform "
It is user friendly for both user and administrator, is customizable to our sales model, and the customer support is superb. Salesnet has become a pertinent part of our sales and marketing management. provinces are mandatory but only include Canada/USA and we have international customers. If you are looking for an easy to implement and easy to use CRM, I highly recommend this. It is so easy for the administrator to make small and large changes, and the customer support is fantastic. We have never had a problem that they couldn't solve for us. As a growing company with significant increases in leads each year, Salesnet has helped our sales team to be able to organize, and stay on top of their leads. From a manager's perspectives I can quickly run reports to track information pertaining to new leads, open opportunities, how the sales team are managing their leads, and track how our marketing initiatives are doing and the quality of leads they are bringing to us. Additionally, we use Salesnet to forecast sales and compare year over year. "Feature Loaded, Fully Customizable, All at a glance"
I like the ease of use after the initial training. I have been an admin in the software for about a year now, and it is pretty much everything it's cracked up to be. No integration with outside calendars. This is literally my only complaint about the system. Do your homework on other software first, and then compare the features of both the large mass marketed solutions, and the smaller boutique choices, and you will find that Salesnet gives you the best of both worlds. Metrics! Tracking! Record access for those outside of our firewall! Automated lead distribution!!! Document Control! Putting marketing capabilities into the hands of my nationally distributed sales force! This product is completely customizable. I can customize fields, and create processes that fit in with my workflow instead of having to set up my work flow to better fit how I interact with the CRM. The customer service support is outstanding. The package has all the functionality that we need at a very competitive price. It did take several hours for me to customize the product to how I want to work with in it, but with a very limited understanding of the system, I was able to stumble through it without additional IT help, and this got easier as I got a better understanding of the framework. I am not very tech savvy. So I am not sure I would lean on this as a negative. All things considered it was far better than expected. If you are considering sales force, I highly recommend you take a trial of both products, and interact with the service team on both. I think you will find Salesnet to be the clear choice if you need more than the shelf product. Integrating Email responses in out look with CRM. Tracking referral sources. Building a pipeline tracking system for follow up. Scheduling contact points for in force clients, and building a sales process for renewal tracking. I am new to the system, but feel very comfortable that in a short time I will be able to have workflows created within the system to create the efficiency needed in the sales and renewal process. "12+ Years of Experiences Using SalesNet "
I have used SalesNet to manage my own company's sales and marketing activities for over 12 years. I have also successfully implemented SalesNet at several of my company's clients, during the past 8 years, to help them improve the management of their sales and marketing activities. SalesNet offers very strong application functionality, particularly related to defining and managing sales and marketing processes. It also offers the functionality to easily define and manage custom data fields. SalesNet has had an excellent long term track record of providing excellent up time, It can be operated without requiring any meaningful amount of internal IT support. SalesNet has continually released improvements to its product offering, particularly during the post 4 years. These improvements are rolled out in a very effective manner, with minimum impact on the current users. SalesNet, and The Power of One, provides excellent, and responsive, technical support and consultative services, when required. SalesNet needs to improve the functionality that it offers for the sales management role. SalesNet needs to improve the standard fields, and related tables of values, and sample reports that are made available with the software. They are not strong enough for new clients to use on their own. I have found SalesNet to be very easy to implement because I have an extensive amount of sales management experiences, and an extensive amount of experiences implementing and using other CRM systems. I have had to develop my own extended set of data fields, and table values, sales processes, and custom reports that support a good sales management system. Planning and managing marketing campaigns. One of our clients uses it to generates over 300 marketing campaigns that are sent out via US mail, faxing, and/or email. "Salesnet. CRM for Sales/Marketing and Customer Service process." Salesnet is not complicated to learn or use. It has a very flexible Process Builder tool/editor (for Sales Opportunities), Personally have used the workflow tool for a call center script automation, calls results capture, and displayed real time results using the Dashboard. This is something hard to find on other systems "out of the box". You may create custom tabs, and create integration points with your existing web applications. Compared to similar solutions, it has a good balance between features/price. With this CRM , most likely, you will use all the features, but as any other system don't try to do it all by yourself, Find a Salesnet business partner at least to have you up and running in a short period of time, and have them to analyze your business needs to cover the key points for a successful implementation. Integration capabilities: Salesnet provides a well documented API that allows the integration with external systems, web sites, phone services (voip), practically no limits (just your imagination or technical skills, but their service department or a Business partner may provide the required skills to complete your project. In general terms, there are just a few things you may say "dislike". Probably I would like to see the Process Builder extended to other parts of the system, since this feature is really useful and currently works for specific modules, but it may not be an issue based on your business needs. - Register for a trial, and a guided demo. - Make sure you ask questions related to how Salesnet solves specific needs of your business. (each business has unique key points). Leads management, Deals/Opportunities life cycle tracking. CRM Integration with existing internal systems to extend the business capabilities. Benefits: Usually users learn how to use it in a short period of time. Can be applied to a variety of business processes and industries. The set of features are just right, not a humongous system. Our entire team (sales, operations and management) can use a single stream sales platform! Customer information readily available, easy to access; helping to deliver simplified internal communications while complimenting our customer's experience. Most of the time if we have any issues with Salesnet the problem is self inflicted. Although there are many video training sessions in the help area with today's ever changing technology there could always be more training support tools. Get it, try it, engage the Salesnet team. You will get results. We have a centralized support center with field reps across the country. We needed up to the minute access and information sharing to shorten the sales process and close more business. With Salesnet we can distribute information faster across multiple channels and touch points affording our sales reps more face to face selling time. SalesNet has become my all-in-one tool to manage my business activities. I am Territory Manager for an architectural cladding systems manager and cover the entire state of FL. Depending on the season, I must manage 50-100 opportunities. SalesNet has exponentially improved my ability to be organized and efficient. I do have any specific items to identify. In the construction business, the sales cycle can literally be years. Having a CRM software that is user friendly (quickly moves as you move through tabs and input information) absolutely increases my ability to follow up efficient and track feedback/information I attain through out the life an opportunity. "Salesnet Provides Incredible Support and Valuable CRM Product"
I have been using Salesnet for more than 4 years. Salesnet Support and Professional Services teams have always been immediately available to assist with any questions or issues we might have. Not only have I used this as a commercial customer, but I am also using it with a non-profit organization I belong to. For the non-profit, I was able to quickly configure processes and custom pages for us to track our donors and projects. We went from spreadsheets and Outlook to the Salesnet online system in no-time. From a feature standpoint, I like the Email area and the ability to send mass email communications based on a dynamic list of customers and contacts. And, I am looking forward to the Email Marketing enhancements that are coming out soon. Some of the administration screens can be a little cumbersome when creating a new process and etc. However, these are not things are done very often so it is not really a big deal for me. We have really benefited from the process in both my commercial account and the non-profit account. We are much better organized in both of those environments. The use of emails for communications inside the CRM has been huge. We are able to send them out of the CRM and we can see the individual communications from an account, contact or lead view. This has helped us stay coordinated with not just the mass, but the individual touch points as well. What I like the best of Salesnet is how easy it makes for me as administrator to custom each one of the process to adapt to my day by day operation. That is really important because I don't need to adapt to the software the software adapts to my needs. I also like how easy makes my work as a sales manager working with my sales team. I have easy access to their appointments, task and most important everything related to new leads, accounts and opportunities. I dislike that I need Outlook Express to be able to set up my email account with salesnet email services. It is a great tool and it will give you as much as you want to take from it. I recommend everyone to have a team leader working with salesnet team at the time to design how to custom each process.. SALESNET team wont make it right if you are not there. if you need this tool to work on tablets or smart phones.. you need to keep looking. We are company that needs a very clear pipeline of opportunities, our sales process takes an average of 3 months, using salesnet we have been able to develop our day by day task on the urgent matters (closing sales) but also to concentrate on the important matters (find new customer to create new opportunities). It's is an excellent tool to measure your salesteam work not only by closing deals but also how much are they doing to generate new business. "Support is great, tool is a bit clunky "
Responsive and helpful support, with almost every question responded to within one day. You can tailor views, fields and processes quite easily. Not easy to generate concise reports showing next steps and recent action. Some things like peer permission levels are a bit tricky (you need to make sure you've got the right settings in Permission Levels, Teams and Org Charts, to ensure users can edit appropriately). It doesn't have a modern look or feel, but it is reliable. Once people are used to it they are generally ok with it, but new users often don't like it. It's quite flexible in how it can be configured and tailored for different users. Note: If you don't give everyone admin rights, then you need to make sure you've got the right settings across Permission Levels, Teams plus Org Chart, to ensure users can see and edit the right things. #1. Opportunities are not well organized/clustered. I have to select a "Status" for an opportunity before I can add a NOTE. This is simply just an extra, unnecessary step if there is not update to the opportunity. I may want to simply note that the decision maker is going to be out of the office or on vacation for the next couple of days/weeks/months without updating the status (status really hasn't changed in this example). #2 I would like to see a quick reference for opportunity NOTES so that I can quickly reference the progress of an opportunity. I don't know how to do this and would like additional training. Perhaps it is already a feature that is readily available and I'm simply ignorant. Sales Pipeline progression and lead/source tracking. To date, my company was completely manual and there was no way to track leads/prospects/sales. Now, using this CRM everyone has access to the same records regardless of whether we have had personnel changes. We're sorry to hear about the issues you've experienced with Salesnet. Mind giving us a call at 866-732-8632? We'd love to show you some small configuration changes to help resolve the issues. I like the ability to access prospect history and sort by contact type or campaign types. The program is a bit clunky to use when compared with other contact management tools in the sales arena. I would like to be able to manipulate data more easily and have a program that integrates with the rest of the company. We're trying to understand the most effective prospecting campaigns for our target audience. Salesnet allows us to determine which campaigns generated the most responses so that we can focus on those types of campaign. It has also helped us make enhancement to the campaigns that are not performing optimally, in order to improve the response rates. "For every problem, there is a solution." For everything, there is a place! And if there isn't one, they'll make one for you. Seriously! We've ran into a series of issues and at every turn, the SalesNet team has been able to find a solution for us. At times the processes in place aren't as flexible as I'd like them to be. That said--there's always a solution and their team has been able and willing to help us find it. We are able to organize, maintain and grow our database with their set of tools. It really makes the whole management system easier to handle. "Helpful, organized, and excellent support"
We looked at a lot of similar CRM's and this one is by far the most customizable. Other products say they are but this is truly the most flexible. This is basically used to organize the data we were using on Excel spreadsheets. It is much easier to search for what you need and have access to it immediately. We also like that you have the Linked Email feature which shows the emails that have been sent to any given prospect. "Lots of limitations, time consuming and too many windows"
The organization of customers, their history, behaviors and account managers and the visibility to others in the organization. I dislike that the email application takes a lifetime to load when you open outlook each day, which is why I disabled this feature. I do not like the seemingly hundreds of small pop-up boxes you have to deal with when making a simple update or creating a deal. If you can find a different solution that easily can link to other applications such as outlook or even include a phone app with the ability to make quick updates instead of using Salesnet's time consuming multi-pop-up-box process, you will be much happier in the long run. We have created problems as we've solved some. The main problem which it should solve is to make every customer our account managers have had any contact with are recorded. The problem it creates is the time it takes to do this. Creating a contact is very time consuming and the notes page isn't quite as helpful as keeping the notes in tasks, but having to create and recreate tasks just to take notes is very time consuming and seems wasteful. "Salesnet was the perfect fit for Liberty Enterprises"
The training was exactly what we needed to successfully implement the program. The process from start to finish was well thought out and addressed the needs of all of our users with varying abilities. It was a great fit for our business. I recommend it to other agencies as a easy to use CRM. We havent found any issues yet. It is very easy to use. Ask all of the questions during the sales process. Salesnet does a great job explaining the benefits and limitations of the product. The agency did not have a CRM before Salesnet. Ease of use; total solution for our company for sharing prospect info. try it and see how easy it is to set up, implement and get moving. How to share info easily--one place to house sales/prospect data. 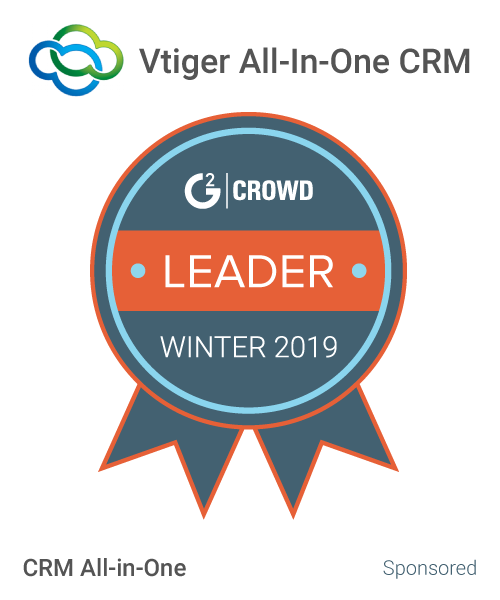 "Chosen after looking at 20 CRM programs"
Easy to ready dashboard, customizable fields, ease of use and the BEST CUSTOMER SERVICE out of any company I called or worked with. We test drove several CRM programs before choosing Salesnet. The customer service team is based in Georgia and they always answer their phones and emails. So nice to understand their answers and not be on hold forever. Works well with Outlook, GMAIL, Macs and PC's. Very impressed with them and their system is working incredibly well in action. Highly recommend this company. Mass email is easy to configure and we loves to be able to track who is opening emails right within the system. Ability to sync incoming emails. They are working on that. Communication with interested clients inquired on our website. Quick lead conversion and ability to track and communicate. This company put together a plan for a our small Insurance company knowing that price was an issue with just starting out. It helps keep my partner and I up on all of our clients. I am in Louisiana and she is in Maryland so we can work together much better. We contacted other CRM companies but no one would work with us like Salesnet did. I also like the simplicity of using their system. Keeping my self and my partner connect being in two different states. "I have been a SalesNet user for 9 years. " SaleNet allows me to do multiple things while following our internal processes. I couldn't do my job as effectively without SalesNet. SalesNet allows me to meet and in most cases exceed my SLA's to both my external and internal customers. I would have to think hard to find a dislike. In my experience with SalesNet their support and development teams have been very responsive to our needs. They work with us to understand our needs and incorporate them into future enhancements when they make sense. I highly recommend SalesNet! I couldn't imagine doing my job without it. I run my business with SalesNet. In our quick response culture SalesNet allows me to meet the needs of my customers, be proactive, respond promptly, and provide the best service possible. Our company was still using excel spreadsheets and guessing to generate pipeline and forecast reports. * We monitor all Salesnet reviews to prevent fraudulent reviews and keep review quality high. We do not post reviews by company employees or direct competitors. Validated reviews require the user to submit a screenshot of the product containing their user ID, in order to verify a user is an actual user of the product. Hi there! Are you looking to implement a solution like Salesnet?